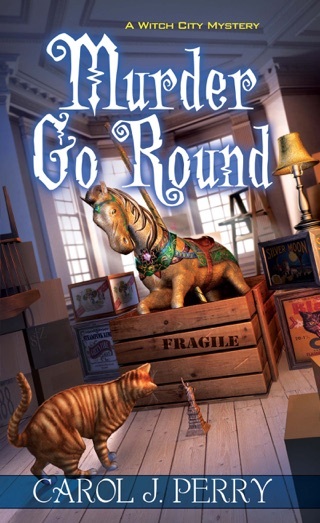 An interesting mystery with Lee Barrett, Aunt Ibby and Pete Mondelo to name a few. The clues were there and as the mystery drew to a close you could piece together what happened. The two cats added to the story and made it interesting. 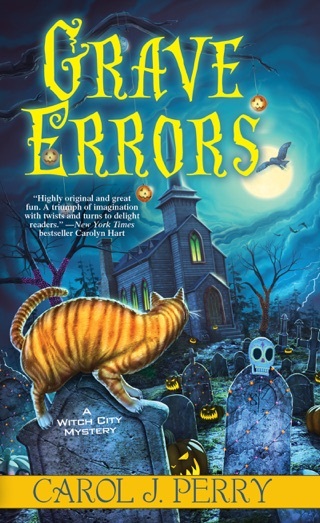 My only problem with this book is there were too many errors not caught which caused minor confusion and detracted from the story. 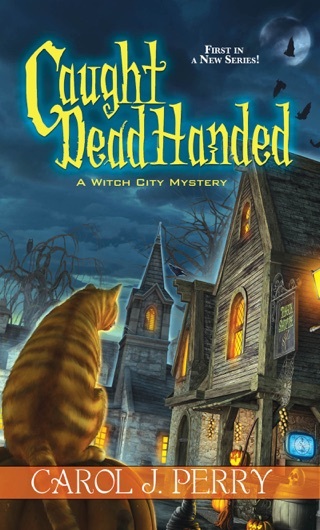 Bells, Spells and Murders by Carol J. Perry is the seventh bewitching tale in A Witch City Mystery series. Lee Barrett is starting her new job as field reporter for WICH-TV in Salem, Massachusetts. Lee is set to interview Albert Eldridge regarding the Holiday Walk, but she ends up with breaking news. Albert is dead in his office from blunt force trauma. Detective Pete Mondello, Lee’s boyfriend, is assigned the case which means late nights for him until the killer is apprehended. Lee starts nosing around, gathering clues and questioning those close to Albert. 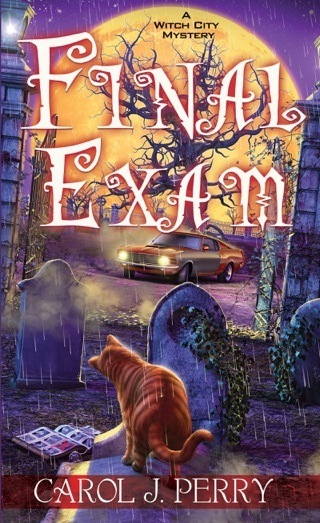 She must work in her sleuthing in between work assignments, shopping for Christmas presents, decorating her tree and participating in a Salem holiday tradition. Lee, with the aid of her visions and O’Ryan, sets out to wrap up the case before sleigh bells ring out on Christmas Eve. I enjoyed reading Bells, Spells and Murders. 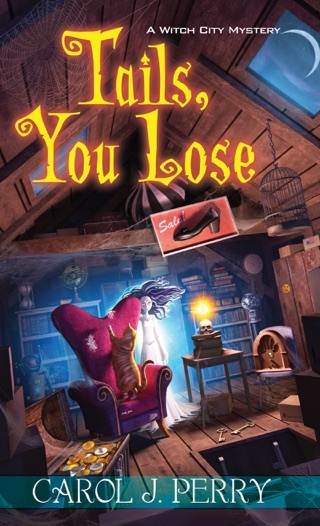 The author captured the holiday spirit in this merry cozy mystery. 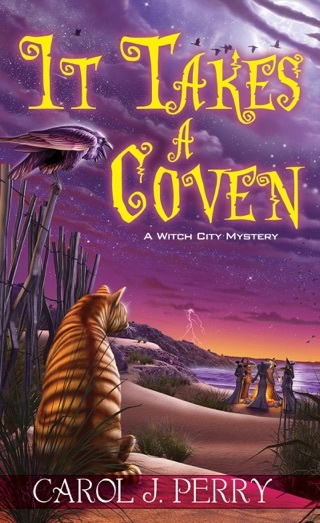 While Bells, Spells and Murders is the seventh story in A Witch City Mystery series, it can be read alone. Ms. Perry provides Lee’s backstory allowing you to know her and how she came to live and work in Salem. Christmas in Salem was brought alive in this book. Cold weather, shopping, baking, tree decorating, a Christmas play, Santa’s ringing bells for donations, family flying off for the holiday and twinkle lights are all included. I loved how the bell theme was spread throughout the story (some of the references will have you giggling). The mystery was interesting with several suspects, a red herring or two and pointed clues. I wish the solution had not been so obvious, and I could have done with less repetition of case details. I did tire of Pete telling Lee to stay out of the investigation. He should know by now that she will keep investigating even if her life is in peril (there is no stopping Lee). All the storylines are nicely wrapped up at the end of the book. 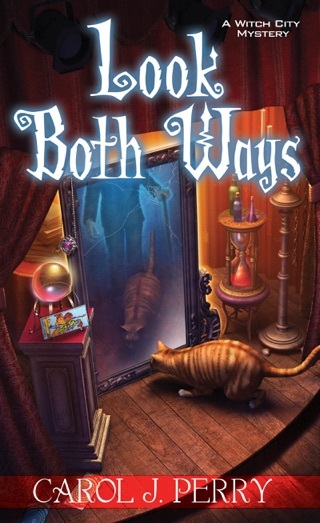 My rating for Bells, Spells and Murders is 4 out of 5 stars (I liked it). 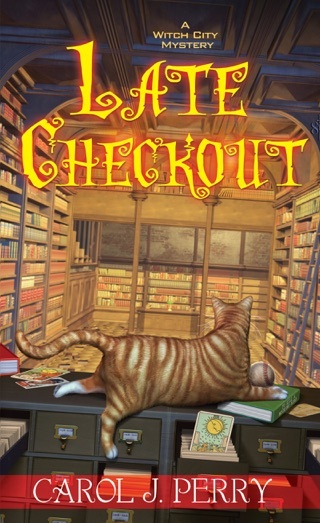 Bells, Spells and Murders is my favorite book in A Witch City Mystery series. 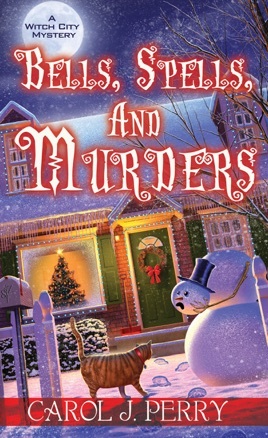 There is love, humor, murder, family, friends and Christmas fun in one festive cozy mystery.